I’ve just watched an amazing documentary on Netflix called ‘Fat, Sick and Nearly Dead’. If you haven’t watched it yet, I strongly recommend it. It’s about an Australian businessman called Joe Cross who goes on a 60-day long juice fast in order to lose weight and heal his autoimmune disease. His final goal is to regain his health and get off the medication he is taking for his condition. The final results he achieves are amazing – he sticks to his plan and manages to lose 100 pounds (his initial weight was 310lb). This is only the beginning of his journey of course. If you are not subscribed to Netflix you can currently see this documentary for free here. This film is a big inspiration to those who are overweight and struggling with their health. It just shows that getting healthier is possible no matter how unhealthy you currently feel. Juicing is just one way of going about it. I see it as an extreme diet which would be just a beginning of anyone’s transformation. This is not about completing a juice fast and then go to your old ways of eating. A juice fast should be a beginning of a healthier you, a healthier mind and a healthier lifestyle. You have to look at your health as a whole and not only as something that comes from what you eat. Joe decided to go for a 60-day long juice fast which seems really long but if you want to give juicing a go, then you can choose your own challenge – do it for 3 days, 5 days, 7 days or more if you like. It’s important you consult your doctor before going on a challenge like this, especially if you take any medications and have medical conditions. It’s also a good idea to get some support which will help you stay motivated throughout the challenge and if you need any advice it’s great to be part of a community. Joe Cross has his own company which helps you do just that but since it’s based in the USA it may not be all that helpful to you (if you don’t live in the USA). If you are based in the UK you will be pleased to hear about Jason Vale or so-called ‘Juice Master‘. On his website you will be able to find everything you need for your juice cleanse. Just to mention that I am a strong advocate of a balanced, healthy lifestyle and I don’t normally promote any kind of diets because they simply don’t work. People go on a diet, lose some weight but then they gain it all back so what’s the point? I always advise people to change their diets slowly by introducing small changes over time until they achieve much healthier diet which will naturally help them lose weight. I’ve been sceptic about juice fasting before but after watching the Netflix documentary I have a different view of it now. It’s a type of diet which actually works but only if you are willing to work on a balanced, healthy lifestyle afterwards. Have you tried a juice fast before or are you thinking of doing it? What’s your view on juice fasting? I did a four day juice fast a few years ago and it was a pretty amazing experience. I didn’t do it as a diet thing, though I did lose weight. It was more a case of rebooting myself and flooding my system with nutrient whilst avoiding all processed foods, caffeine, alcohol etc. As it turned out, I couldn’t eat cooked food for about a week afterwards, had totally gone off it. It also put me off bread and coffee for a long time. After that I bought a juicer and would do occasional one day juice fasts if I was feeling sluggish, but eventually I got rid of that and now make smoothies in the Nutribullet which is much easier. 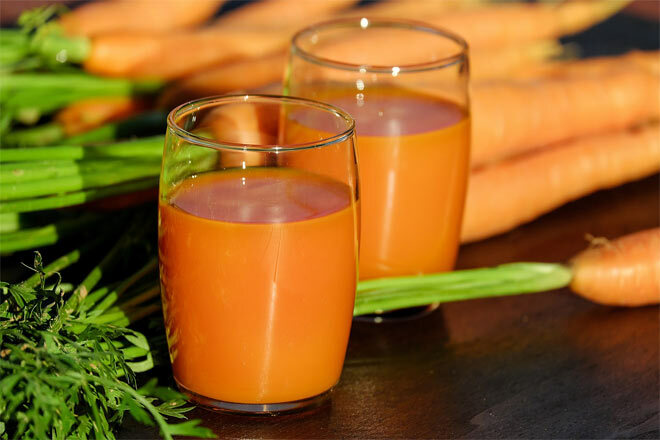 Juicing is definitely an interesting thing to try out, but ultimately it’s very expensive and creates a lot of waste, so I don’t think it would be a long term thing for many people. Thanks for sharing your experience Joanne. So good you didn’t have to make juices yourself, this makes things easier, right? You did well though, I don’t know whether I could last for 4 days, it’s definitely a challenge. You’re right, juicing is quite expensive, especially organic, and not for everyone but the benefits are obvious so I will probably give it a go in the future. It is a shame that juice cleansing gets such a bad rep because many people don’t know exactly how to fast, when to fast who it benefits and why. I love juicing and will defend it until the end 😉 Great post! Now that I’ve learned a little bit more about it I feel that it’s definitely something worth giving a go so I will defend it as well! People just need to learn more about it so that they can have a better understanding about what happens to the body during the fast and why they should do it. I really wanted to watch this a while back but it wasn’t on the UK netflix, I’ll have to check again. Really worth watching! And there’s a second part as well which I will watch very soon. Interesting – we’ve heard lots about juice diets, and still un-decided. Will have a watch on Netflix! I was feeling the same before I watched the documentary! It’s amazing how the right nutrition can heal the body. It’s really good to hear you’re doing alright without medication. Through juicing, we have the opportunity to get the full nutritional benefits from fruits and vegetables. Joe Cross’ story on how he lose weight with juicing is truly inspiring. People who experience difficulty managing their weight can get insights from him. Also, it is reasonable to drink juices and smoothies in the morning before lunch or brunch. Actually, substitute breakfast with smoothies. 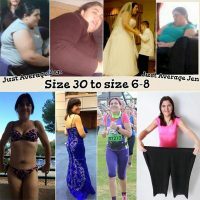 Thanks Petra for your sharing.The video is really motivating and it really boost me up.Obesity is the biggest growing health concern.A proper diet is always beneficial on weight loss. Who doesn’t want to look smart?But choosing the best diet for weight loss management requires some serious brainstorming to determine the best outcome. .I found your article more interesting and useful as a tool which could help me to choose the best methodology to loss of my weight.